Back home page > Directory and latest news from the fruit and vegetable business worldwide. to this directory that lists over 18,000 operators in the fruit and vegetable sector, in 138 countries. from the sector, verified and useful to stay up-to-date on the market. 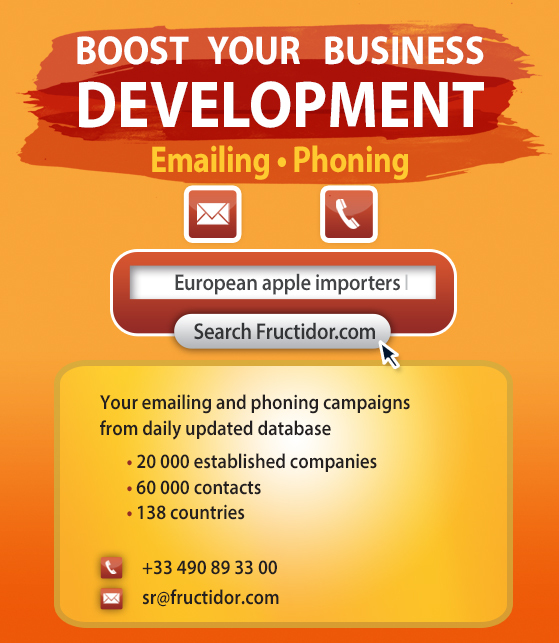 Develop your business and gain the loyalty of partners and clients in the printed edition of the directory, the newsletter and at fructidor.com.